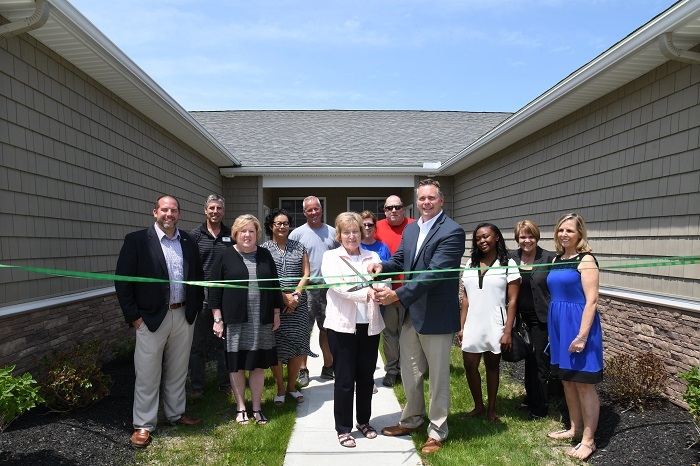 Cleveland, OH (June 13th, 2017) – Howard Hanna Real Estate Services is excited to be joining with Giltz & Associates for their newest development, Shoreline Village Apartments, located in Vermillion, Ohio. For 27 years, Giltz & Associates has been serving the commercial real estate industry in Northeast Ohio. Quality, efficiency and innovation are foundations of each structure that they construct. Shoreline Village offers spacious, open floor plans, along with top-quality craftsmanship and design. Amenities such as a clubhouse, swimming pool, and tennis courts provide residents with luxury and convenience, while maintenance-free living affords them peace of mind. Shoreline Village Apartments feature two bedrooms, two bathrooms, stainless steel appliances, granite countertops, oversized two-car garages, and are pet-friendly. Living at this upscale location means being able to explore the charming city of Vermilion and the harbor, with ships sailing in and out of port. “Vermilion is the crown jewel of Lake Erie. From quaint shops to fine dining, the arts, entertainment, and unmatched festivities, and Shoreline Village will be at the center of it all!” said Grant Giltz of Giltz & Associates. To learn more about Shoreline Village Apartments, please visit: www.shoreline-village.com or call 440-732-0190.